Kice project engineers have designed complete processing systems for more than four generations. Very often a customer has “open space” within the plant to install a complete system. In these cases, Kice offers an engineered, pre-assembled, modular system that makes on-site installation easy and quick. Kice engineers will design a custom support structure to “house” the equipment that makes up a system. Stairways, ladders, access platforms and any other features needed are designed and built by Kice. Kice Automation can even provide an electrical control package including motor starters and control panels. The entire system will be pre-assembled at Kice prior to shipment and shipped in major components. Contact Kice to see if a pre-assembled solution is right for you. Systems include structure and individual equipment as required — Kice Multi-Aspirators®, cyclones, fans, filters, airlocks, spouting and automation. We can also incorporate your existing equipment into a more compact, easier-to-operate system. 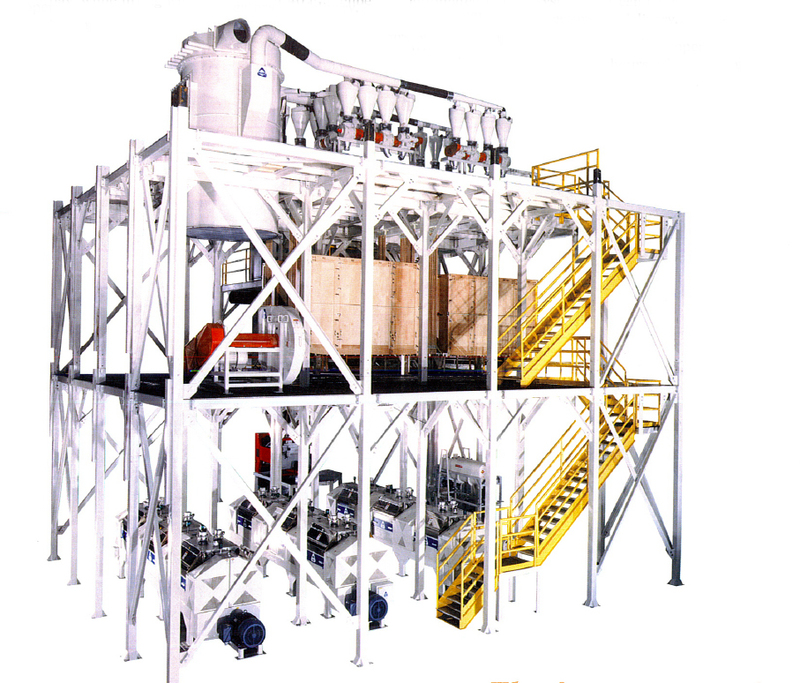 Systems can be custom designed and configured for a wide range of processes; plastics grinding, recycling and fines removal, wood pelletizing, grain and milling, spice plants, foundries, mining, chemicals and more. You can save 50%-90% on building requirements and costs by minimizing on-site labor for erection, custom fitting and unforeseen factors. 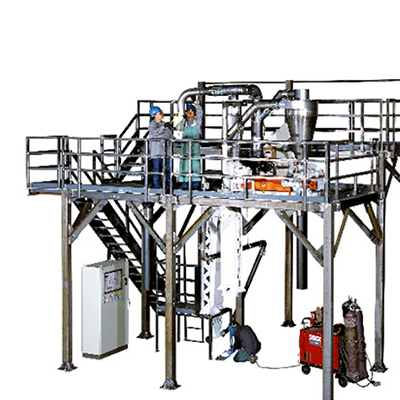 The Kice Shortflow Mill® (KSU Mill) was developed by Steve Curran, milling professor in the Department of Grain Science at Kansas State University. The milling flow was patented by KSU (Patent # 5,192,028) in 1992. Kice Industries provided technical, engineering and manufacturing support during the development period and is now licensed by the university as the sole world wide manufacturer and distributor of the KSU Mill. The first KSU Mill was commissioned in 1992 in California. Since that time Kice has installed and commissioned 30 KSU Mills in a total of five countries. The KSU mill is designed for processing hard, soft, and durum wheat varieties into white flours with high extractions and quality finished products. Typically the mills are pre-assembled complete at Kice prior to shipment. A modular concept is used which allows for pre-assembly and on-site installation. The modular concept allows the mills to be installed in simple, inexpensive buildings such as steel warehouses. Each project to date has been slightly different, and the KSU concept has been able to adapt easily and effortlessly in each case. KSU Mills are supplied with a completely automated control package that is now designed and supplied by Kice Automation. ‘Off-the-shelf’ electrical components are used to ensure the availability of spare parts at a reasonable price. KSU Mills are installed in several different countries with differing electrical requirements. Kice Automation can supply electrical control packages to meet these needs. KSU Mills are supplied with Kice heavy duty equipment including pneumatics, dust control, pressure conveying and bran finishing systems. KSU 1000 Mills come standard with a Kice Automation control package using an Allen Bradley PanelView CRT. All units include a modem for remote service. The mills can be operated in manual mode with HOA switches located at the control panel. All statements on milling performance are estimates based on the use of proper wheat and proper cleaning prior to the milling process. KSU 2000 Mills come standard with a Kice Automation control package using an Allen Bradley PanelView CRT. All units include a modem for remote service. The mills can be operated in manual mode with HOA switches located at the control panel. KSU 3500 Mills come standard with a Kice Automation control package using an Allen Bradley PanelView CRT. All units include a modem for remote service. The mills can be operated in manual mode with HOA switches located at the control panel.